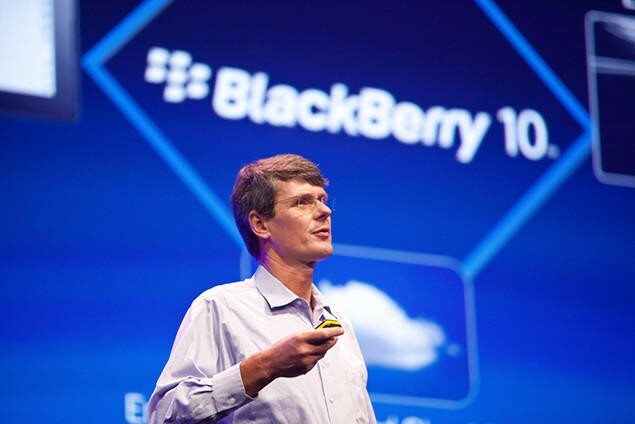 RIM is set to unveil BlackBerry 10 and its latest smartphones on January 30. The whole tech world is watching to see if RIM can step up to the plate and fight Android, Windows Phone and iOS head on. Can it? I think so, if it executes the launch properly. Sterne Agee analyst Shaw Wu seems to agree to some extent. In a report on Tuesday, Wu said that "expectations may have gotten overly pessimistic" for the company and that he believes RIM is capable of shipping 7 million BlackBerry smartphones, even if that's down 50 percent year-over-year. Wu does warn that RIM needs to focus on quality applications and its consumer base in order to succeed. "For carriers, the rationale is simple where many are increasingly leery of the growing dominance of iOS and Android and have been looking for a viable third or potentially fourth platform with the hope that either BB10 and/or Windows 8 takes off," he argued. "But does the world really need a third or fourth mobile OS touchscreen platform? And what makes it different? So far, developer support and customer adoption have been lukewarm so it remains to be seen if carrier hope wins out. To us, it's not just the number of apps, but the quality of apps, and whether developers are making money and customers are using them." We agree, and hope that RIM has a portfolio of top-notch apps to show off on January 30, in addition to great hardware and a solid new operating system.